The chemist Carl Hornemann founded a paint and ink company near Hanover, Germany in 1832. This would serve as the foundation for what we know today as Pelikan. The date of the company’s official founding is regarded as April 28th, 1838 because that was the occasion of their very first price list. All of the company’s anniversaries are based off of that date meaning that 2018 marks the 180th anniversary of the brand. To honor the affair, Pelikan is releasing a very limited edition fountain pen called the Spirit of 1838. We get our first glimpse of this new model thanks to the German retailer Fritz-Schimpf. You may recall similar releases in the past such as the M750 and M760 which honored the 150th anniversary in 1988. We also saw the M101N Jubilee Pen in 2013 which was a run of just 238 pens marking the company’s 175th anniversary. 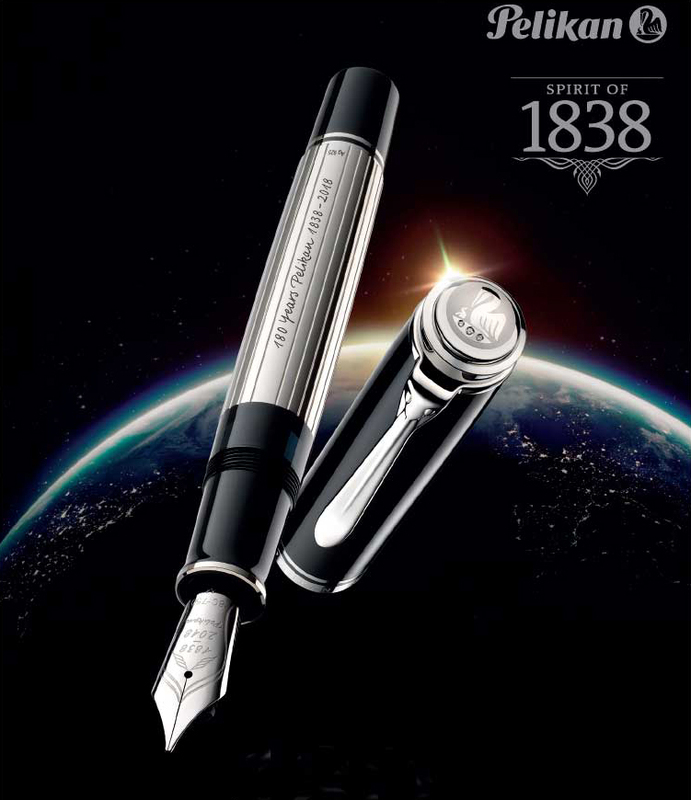 Now the Spirit of 1838 follows a similar vein, being released in an edition of just 180 pens.